Below you can view all the homes for sale in the Glenhaven At Southern Highland subdivision located in Las Vegas Nevada. Listings in Glenhaven At Southern Highland are updated daily from data we receive from the Las Vegas multiple listing service. To learn more about any of these homes or to receive custom notifications when a new property is listed for sale in Glenhaven At Southern Highland, give us a call at 702-323-5933. Charming Single Story Situated In The Master Planned Community Of Southern Highlands; Home Features Spacious Open Floor Plan; Ceramic Floor Tile In All The Traffic Areas; Formal Dining Area, Living Rom, Kitchen With Granite Countertops And Large Island For Entertaining; 3 Car Attached Garage And Very Low Maintenance Landscaping. 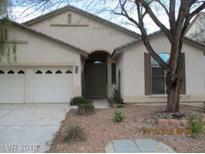 MLS#2088380. LIFE Realty District. Master bedroom includes separate sitting room, walk in closet, dual sinks, separate tub/shower & door to back patio. MLS#2061730. Keller Williams Southern Nevada. Hurry come and take a look! Priced below comps! MLS#2017129. Affinity Realty LLC.